HomeMove are the Business to Business removalists you can count on! Years of experience working with all kinds of industries. Value for money, trade discounts. A dependable long-term transport partner. What if everyone of your Home Staging jobs was a ‘Blank Canvas’? And if you had a trained, dedicated, specialist, relocation resource at your disposal? Ask about our unique “Pre-styling” innovation. Our One Stop Solution: De-cluttering, Packing, Storage and Relocation. 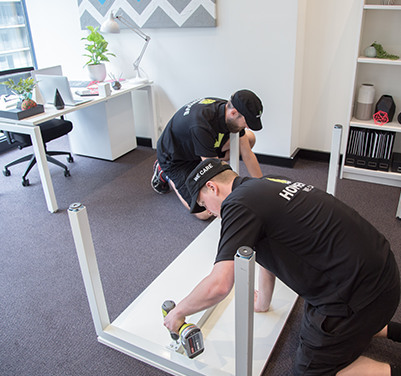 Property Stylists – Cabinet Makers – Interior Designers – High end furniture makers – Retail deliveries – Restoration and Cleaning – Insurance – Builders & Developers – Real Estate Agents – Event Hire – Aged Care – Education Providers. Whether you need business removalists for regular transport runs or someone you can recommend to your valued customers with confidence, HomeMove is the right choice!